Triple Points at Nordstrom and 50+new GWP! It’s Triple Points time at Nordstrom and part of this event, Nordstrom has over 50+ new GWP available, just in time for Mother’s Day! If you’re not familiar with Nordstrom’s Fashion Rewards program, they made a big change last year so that EVERYONE can join–not just cardholders! Everyone will earn 3x the points during this event. Plus, it’s free to join! Tons of brands are participating including Estee Lauder and Clarins, but also Bobbi Brown, La Mer, Fresh, Kiehl’s, Clinique, Sisley-Paris and Mario Badescu. Some brands have their gifts in store and online, and some are online only. Here’s the FULL LIST of all 50+ gifts available. Plus — Nordstrom is still price matching 10% off many beauty items to make this an even sweeter deal. Macy’s Friends & Family semi-annual sale has started today and runs through Sunday, May 7th. This is a great opportunity for you to pick up some beauty items on sale for Mother’s Day! Macy’s is taking off 10% your entire beauty purchase (Chanel is unfortunately excluded online) and you can combine this with the current gift with purchase offers (GWP) from Shiseido and Clarins. Use code FRIENDS for 10% off and free shipping on all beauty purchases. 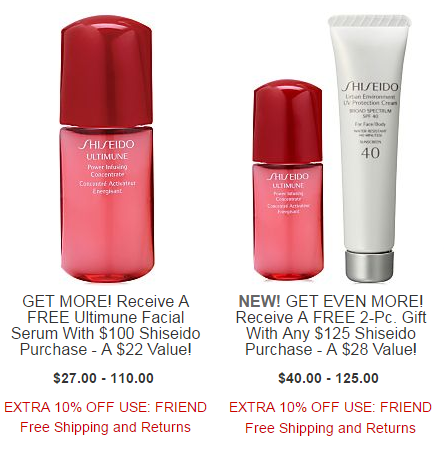 The current Shiseido GWP is a free 6-piece gift wiht $75 Shiseido purchase. You have your choice of 3 different gifts: items from the White Lucent, Benefiance or Bio-Performance lines. No code necessary, your gift will be automatically added at checkout. However, don’t forget to use code FRIENDS for 10% off. Shiseido also has 2 step up level gifts. With your $100 Shiseido purchase, you’ll also receive a Ultimune Facial Serum, and with your $125 Shiseido purchase, you’ll also receive a 2 piece skincare duo of Benefiance WrinkleResist24 Intensive Eye Contour Cream and Urban Environment UV Protection Cream SPF 40. Clarins also has a really nice gift with purchase offer at Macy’s right now. 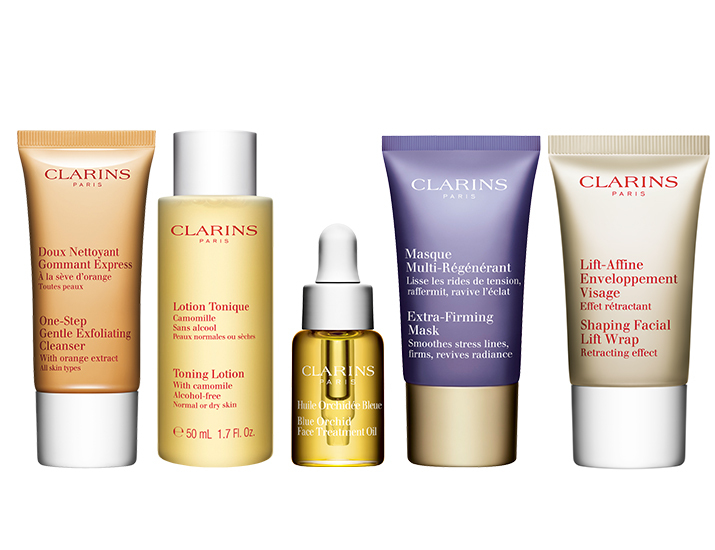 You’ll receive a 7-piece skincare gift with $75 Clarins purchase. Clarins will also donate 10 school meals on your behalf. No code necessary, your gift will be automatically added at checkout. However, don’t forget to use code FRIENDS for 10% off. There’s also a step up gift when you spend $99 on Clarins at Macy’s. You’ll receive a Travel-Size skincare duo. Use code FAMILY16. Sale ends Oct 17, 2016.